On July 20, 2017, William F. Pepper, Ed.D., J.D., spoke at the National Press Club about his previous day’s filing of a 200-page petition regarding Sirhan Sirhan. 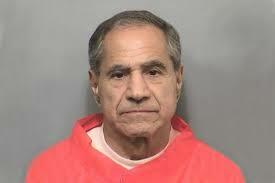 Sirhan, jailed since 1968, is , late New York U.S. senator and Democratic presidential candidate. Organized by Andrew Kreig, J.D., editor of the Justice Integrity Project, the well-attended conference enabled Dr. Pepper to discuss his long-sought evidentiary hearing. COMMENT. Despite Andrew Kreig’s extensive and most vigorous efforts, only a few members of the press turned up at the conference: an intern from the Washington Times, a representative from Al-Mayadeen TV, Beirut, along with a knowledgeable White House correspondent for an alternative news site. This appeared to validate Dr. Pepper’s view of the heavily-managed American media. And it bodes ill for what seems to be the attorney’s goal in filing with the OAS–to generate enough adverse publicity to force the United States to re-examine the questionable trial of Sirhan Sirhan. Indeed, a casual search of the Internet turns up a number of references about “conspiracies” revolving around the problematically convicted man. This article was originally published by Haus Frau Leaks.